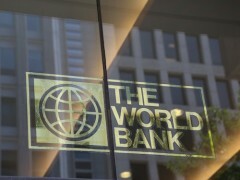 The World Bank Group is implementing the AC Plus data management platform supplied by specialist vendor Asset Control. AC Plus will underpin the World Bank Group’s Market Data Review solution, for creating and storing a “golden copy” of market data, explains Asset Control. AC Plus will replace a legacy in-house system. Robert O’Boyle, MD for Americas, Asset Control, says that there was “an extensive RFP and competitive process” and he feels that AC Plus can satisfy the World Bank’s “demanding requirements for a highly reliable and scalable market data management platform”. He adds that “it is critical that the World Bank operates as efficiently and transparently as possible – both from a philosophical and business perspective”. The World Bank Group is part of the United Nations (UN) system. It provides financing to developing countries for capital programmes. It has 120+ offices worldwide and employs over 10,000 people. UK private equity firm invests in financial data management solutions provider. Erste Group Bank has opted for Asset Control’s AC Plus financial data management platform to support its PRIIPs and MiFID II regulatory requirements. Starting in Indonesia, the programme will target APAC countries.